Father's original idea for ICUS was for the participants to experience each other. Scholars today are trying to solve problems from just their own perspective, from a sociological, a psychological, a technological, a business, a political, or an economic perspective. The disciplines in the schools are not connected. In fact, they are at odds with each other many times. The physicists don't talk to the liberal arts people or the English people. They don't even talk to the engineering people. The mathematicians aren't in communication with the chemists. Even within each branch of science they are not in communication with each other, because they are so much into their own thing. Nobody within academia is saying that we've got to address problems from a unified, interdisciplinary perspective. Of course, the Principle teaches unification. If you're going to solve world problems, you're going to have to do it from a unified perspective. Father wanted theologians to experience physicists, physicists to experience literary people, lawyers, politicians, economists, and so on. Father wanted them all to get together. Not only that, but the problems are different and are seen differently in other parts of the world. Solutions are recommended in various ways because of different religious and cultural philosophies. So there also has to be an international solution to global problems. Brought together in ICUS, the scientists had to start grappling with such issues as language -- how to communicate with each other, how to respect each other's point of view. Father wanted them to broaden their perspective on issues so that they could say, "Yes, there are some aspects of a solution that my own discipline isn't really addressing." Father also wanted to create a foundation for generating other things, which eventually happened, of course. PWPA, the media conference, and in many respects IRF and New ERA were spawned out of ICUS. Some of the CAUSA people came from ICUS. The highway project ultimately came out of ICUS. ICUS is sort of the ideological core where Father could inject new ideas, and then the ideas would spawn off into more concrete projects. 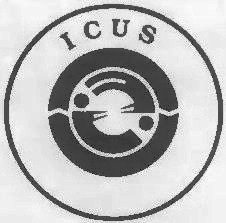 ICUS has always been a forum for esoteric, philosophical discussion, the theoretical discussion of practical problems. It has never really been an action-oriented group. PWPA and the Washington Institute are meant to be that. But ICUS has to be more on a philosophical or theoretical level. Some people think that the only value is in the doing. If you just talk and you don't do anything, of course there is no value. But if you do things without having any kind of philosophical foundation support what you are doing, then that's not any good either. You wander, you meander. It's important that ICUS first creates a philosophical base for a unified world, the creation of the Kingdom of Heaven -- an interdisciplinary, international, completely integrated approach to solving global problems. Then out of that can come the more specific action-oriented, policy-oriented projects, so that together the two create what Father wants done. For many years the religious leaders in America didn't respond to Father, but the scholars did. Why? First of all, Father elevated them to a position of respect, and he wasn't doing it just out of goodwill or just to make an impression. Father firmly believes that the scholars have the potential to be the leaders in creating a new cultural revolution, a new world order, the Kingdom of Heaven on earth. Scholars and philosophers from ages back have always been asking the hard questions. They have always been on the cutting edge of seeking truth, always on the fringe. They are never content to just stay comfortable with society as it is, but they are always trying to discover new things, trying to discover more about the human being, about life, about the universe. If anybody is eventually going to discover God, it's going to be the scholars, because they are very serious about seeking truth. They have spent their entire lives, much longer than we have been alive, in seeking truth. And if a central truth exists, they are going to come face to face with it. It's inevitable that they are eventually going to discover God. Father believes more than anybody else that it's going to be the philosophers and the scientists. Scientists are even investigating spiritual phenomena now. Physicists can't even prove that certain things exist tangibly, but they know they exist mathematically. So chemists, physicists, even biologists now are getting into a realm where they no longer can use the five physical senses to describe the things they are studying. Some scientists say, "Look, that's not our field. We can't deal with it. But others say, "Well look, if a spiritual realm exists, we've got to investigate it. We have no choice because of the very nature of our enterprise. We have to seek out what's there if observations tell us that something's going on out there. We have no choice but to investigate it." 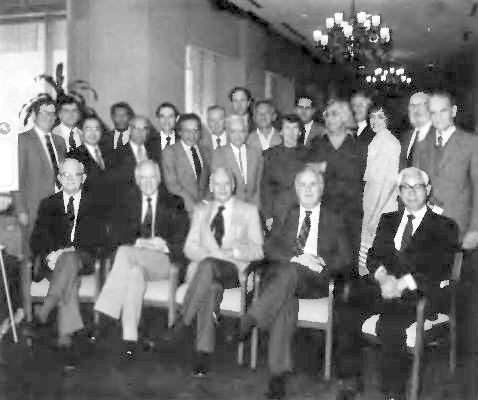 Members of the ICUS Planning Board. This is the academic enterprise. All throughout history the innovative scientists have had to battle with the status quo scientists, saying, "Look, your theories don't hold water anymore. We found something else." There has always been this upheaval within science and academia because people are still saying, "There's something more, there's some more:" Any scientist or scholar who is satisfied that he has found the truth is no longer a scholar. Because a scientist knows very clearly that truth is infinite, and that the search must continue. Father put these scientists together to nurture this attitude, to help them realize that there is still more to discover outside of their particular discipline and even within their own discipline. They can't be content and satisfied with what they know. They've got to keep seeking the truth. And he wants them to seek it with each other. I've seen some of the ICUS participants over the last ten years whose ideas have completely changed. They are now speaking other languages, they are communicating, and they're excited. I see people broadening off into other areas, trying to incorporate a universal perspective on things. It's a subtle thing; it's something you cannot measure with a tangible barometer. Over the last couple of years many of us within ICUS proper and within ICF in general have been trying to define what the actual purpose and direction of ICUS is. It's only within the last year or two that we've really defined our themes -the issue of the unity of knowledge and the issue of science and values. We explained this vision a little more clearly this year to the paper writers in their pre-ICUS meetings. We attempted to get people to stop talking about just their own little area and start talking about it in relationship with the central themes and also with their specific committee themes. This year it happened somewhat. But even the chairmen were frustrated. And that's exciting to me. That means the chairmen are aware that there's a problem. In fact, even in their proposals they were saying, "You know, we have to talk more about science and values. We have to talk more about the unity of knowledge." So in other words, more and more, the key actors within ICUS are beginning to think in terms of these themes. This is the victory that's coming about. Now it's rippling down to the papers writers and the participants. It's a development that's eventually going to shake the academic community. This year Father wants all the chairmen for the next ICUS plus the Planning Board members to be taught Unification Thought and the Principle. And they are ready to go to a meeting. Now that ICUS is becoming more and more clarified they can really be committed to something. Father feels a lot of solidarity now. Now the numbers are multiplying rapidly. People are not only excited about Father's vision but they're actively promoting it. It's not something tangible, but there is a sense now of unity and camaraderie and real commitment. Those of us who have been involved for years and years can sense this. When King and Gerholm stood up and put those cowboy hats on Father and Mother...well, I don't know how many people would have done that in the past. That's how close they have become. ICUS has a long, long way to go. We're definitely not there. But I think Father feels that we're on track with what he would like to see ICUS doing. I think we're moving in that direction. A lot of the scholars said that it was one of the best conferences they'd been to. A lot of the staff did. It was the smoothest conference I've even been in. Mr. Salonen told me that Father didn't expect so much from ICUS this year. I don't know why. But he told me that the morning Father left, he was completely overjoyed. He was totally excited about it. He told us that ICUS should get a little bit bigger than what it was this year, and he gave us some ideas as to how we could ground it even more. We are so far away from really addressing the issues in the way that the Principle needs to address them, but there's hope, there's direction. We are starting to get people who are really serious about these themes, and now if they can connect their fields and their interests to those themes, I think we can take off. Father believes in that and I have no other recourse but to believe it.